Karen O’s output has been relatively quiet as of recent years, her latest release being her 2014 solo record Crush Songs. 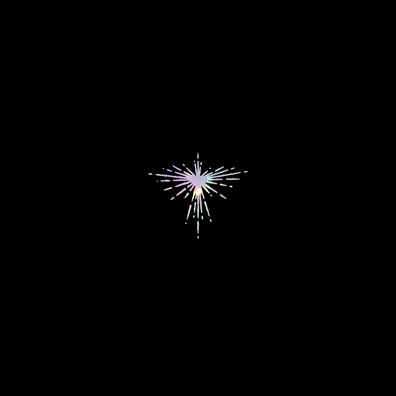 The legendary frontwoman of Yeah Yeah Yeahs, one of the most influential acts of the burgeoning NYC indie rock scenes of the early 2000s, joins forces with Danger Mouse for a collaborative LP. Brian Burton, more commonly known as Danger Mouse, is a prolific drummer and producer who has worked with key names such as MF Doom, Beck, Broken Bells, and Gorillaz. Danger Mouse brings sleek, dense instrumentation to pair with Karen O’s unmistakably signature voice. The nine-minute opening title track takes its time, showing plenty of restraint in its development. A dreamy, film score-esque opening sequence occupies the first third of the song’s run time before abruptly shifting into a sultry, chilled out RnB inspired number. Karen shifts from her famous shrieks and hollers to showcase her detached, swooning vocals. Danger Mouse blends luxurious strings, muted guitars, and hypnotic synths to pair. Other tracks are much more straightforward in delivery. “Ministry” in its stripped down funk features a mesmerizing hook from Karen O while Danger Mouse injects swelling guitars and some ornate string production. “Woman,” the politically fueled lead single, shows Karen O at her most familiar. Her defiant shouts - cathartic and impeccably controlled - mesh with clanging drums and a fiery choral backdrop. “Redeemer” is a pulsating rocker with a flavor or psychedelia, Karen O’s vocals creeping over spiky guitars and rubbery synths. “Leopard’s Tongue” is the most sensual cut off the album. Karen’s “oohs” and “aahs” in the bridge ooze with charisma. Danger Mouse’s affinity for soul and funk is further tapped into with subtle horns and an insistent bass pattern. Spiraling synths flash underneath Karen’s alluring chorus. “One touch and you ask for more, two touch and you're on the floor, just a lick of sweat off your skin like an aftershock from the prick of a pin,” suggestively states Karen. While a lot of attention is given to the album’s cohesiveness, there are a few more forgettable cuts that hurt the record’s momentum. For example, “Reveries” is a sparse, hushed ballad while with the intention of giving respite to the album’s rich, busy textures, is a bit undercooked without enough time to really develop into anything much. Still, the few flaws on this album are not potent enough to overpower the clear highs. Musical marriages between two accomplished personalities can often be give and take, overall Karen O and Danger Mouse find a working balance between the twos’ unique musical visions. Lux Prima is lush, sensuous, and brimming with evocative textures. It’s a welcome return for Karen who injects her unbridled and effortless cool throughout these nine songs. Danger Mouse successfully adds another impressive collaboration to his already glowing resumé. It was hard to know what exactly to expect with this high profile collaboration. And because of its ability to surprise, the mystery surrounding Lux Prima just might be its greatest asset.